I confess that one of the ways I’m a bad marketer is that I’m a lurker. I read the posts on the Goodreads apocalypse lists or Kindle Boards with fascination, but I rarely comment. I always feel like I’ve arrived too late to the conversation and that everything that can be said has been said. Then the thread goes for another two hundred comments. Apparently there was more to talk about. Would I Take a Lousy Contract From Random House? Forget the Mayan Apocalypse because that is so last week, or will be by the New Year. If planet Nibiru was on the way into our inner solar system, it would be the brightest star in the sky right now. As for planet killing solar flares, the sun is heading for the weakest solar maximum in a century. Is Self ePublishing in a Bubble? Since the mortgage crisis of 2008, all the pundits are looking for the next bubble, probably because most of them are embarrassed that they failed to predict either the dotcom bubble or the housing crash. That’s why I’m wary of doom forecasters, because the disaster that’s on the way is rarely the one they’re predicting. So I admit I was skeptical of a bubble-forecasting Guardian article brought to my attention by my friend and fellow writer, Stephen Kotowych. I gave it a read though because he and I spent a couple of years critiquing each others short stories in our writers group, the Fledglings, established by author Robert J. Sawyer. You get to know someone after reading a dozen of their stories and, even more telling, hearing their critiques of your own. I trust Stephen’s judgment. In a nut shell the Guardian article tries to compare the ePublishing craze to a financial industry bubble, but the author, Ewan Morrison, has to jump through some pretty tenuous hoops to explain why prices aren’t increasing, which is standard for a bubble–think house prices or dotcom stock prices. He states the the actual devices–eReaders, iPads, are the price increase in this analogy, although all of these have been dropping in price. I assume he means the upfront cost to the consumer who could buy books without an eReader before, but then the article is supposed to be about self-publishers. Yet, there is some validity to his contention that we are in a self-publishing bubble, one where people who are not authors believe they can make a million bucks on Amazon. I know of one example: a man who’d never even tried to write a book before in his life, but suddenly self-published a short non-fiction self-help book. I think he truly wants to help people, but I also believe that he expected to rake in lots of cash doing it. His book sales are non-existent if Amazon’s bestseller ranking can be believed, and I predict he will never write another eBook. But I’m willing to bet that he bought an eBook, probably with a title like How You Can Make Trillions and Trillions of Dollars and End World Hunger by Self-Publishing an eBook. Hey, maybe I should write and publish that! Sadly, I saw this gold rush coming but I was too late. I first considered self-publishing in September of 2009, and I would have beaten the tsunami of crap, but I waited until the spring of 2010, and by that time Amanda Hocking had taken off. When I read articles about her millions of sales, I knew that every dusty manuscript in a desk drawer would be out there with a quick cover and no editing. What I didn’t predict (and should have) was that every self-styled guru would be out their selling books on how to get rich ePublishing. These are like the guys selling bent shovels and treasure maps to prospectors in the Klondike. Any writer (or publisher) could have predicted this bubble, because it’s actually been around for a long time. The general public just didn’t know about it. For the last ten years I’ve heard one editor after another, one agent after another, groan and complain about the massive depth of the slush pile. For years people have been sending in manuscripts, certain that they’re the next J.K. Rowlings or John Grisham, hoping to make millions. Publishers should be delighted with ePublishing because the slush pile can now be sorted by readers at 99 cents a pop, sometimes even for free. And ruthlessly sort they do–just check out the one star ratings that some books earn on Amazon. As for the scammers, they’ll peak this year and fade into the background. Like spam, they’ll always be with us, but people will get very good at recognizing them. Yes, a lot of people have jumped into self-publishing because they think it’s easy. When they don’t sell and realize that it’s hard work to learn how to write, to promote and to write more, they’ll walk away because these are also the type of people who give up quickly. Wait for the howls of outrage next year when Amazon announces that they’re dumping every self-pubbed title that hasn’t sold in two years. Contrary to popular opinion, server space is not free. Authors like me will still be there because we’re writers and that’s what we do, even if we don’t sell millions. But where I strongly disagree with the Guardian article is the suggestion that the government should bail out publishers. They deserve a hand out from the tax payer even less than the big banks, and they’ve adapted to new technology about as well as the record companies. In other words, kicking and screaming their way into the 21st century. But unlike the big banks, publishers can easily be replaced by smaller, better publishers without much pain for the average person. The next few years will see publishers reluctantly adapt, and the self-publishing bubble will burst, but don’t expect the industry to return to pre-eBook days. True self-publishers, like Joe Konrath and Barry Eisler, will still be out there along with many other successful self-publishing authors. They may not be making millions, but they’ll make thousands. In fact, I’m looking forward to the end of the bubble. It’ll be cleansing. My library card had expired. Gasp! I’ve been reading eBooks for the last few years, either on my ancient Sony ( two year old technology) or on my spiffy new Kindle, but thanks to agency pricing, I have renewed my card and started borrowing dead-tree books again. That’s right, me the big eBook fan, has had to crack open some weighty volumes to get all the information I crave. But the publishers made me do it. In an effort to fight the rising tide of eBooks, the Big Six publishers adopted the agency pricing model, where they set the price and no one is allowed to discount, and they’re setting the price of eBooks higher than paperbacks. So an electronic download, which doesn’t require logging companies, pulp mills, trucks, printing presses, more trucks and heated bookstores are now priced higher than dead-tree books. Let’s not even get into the incredibly environmentally unfriendly paperback returns policy, which sees the cover of an unsold book ripped off and returned to the publisher for credit, and the rest thrown into the recycling bin so that more trucks, pulp mills and trucks can get rev up their engines. But what really gets me steamed is that great authors are being squeezed by the new “industry standard” on eBook royalties. This cartel of six has decided that they will not sign a single contract that pays an author more than 17% of the list price of a novel. Their stated claim that they must have this deal in order to make a profit on eBooks doesn’t ring true when you read Publishers Marketplace, which reports on each publisher’s financial statements as they’re released, and it turns out they’re all making a good profit on eBooks. It’s reduced hardcover and paperback sales that are hurting them. So they’re using eBook sales to subsidize the old industry at the expense of authors. So I’m boycotting agency priced books, and it’s really easy to tell which books are subjected to this policy. If it costs more than $9.99, and more than the paperback, it’s an agency priced book. If Amazon can’t sell you a discounted copy, it’s an agency priced book. For instance, a friend recommended The World Without Us as essential reading for all apocalyptic fiction authors. Amazon’s price for a Kindle version is $11.20, but the paperback is $10.20. I’ve seen far more glaring examples, where the Kindle edition is near $14 and the paperback is around $10 dollars. Meanwhile, out of the millions of indie-pubbed books, some cream will rise to the top. These authors will keep selling under $9.99 to get the 70% royalty, and as they build their careers and become in demand, they’ll eat into sales of books from traditional publishers. The only solution for the Big Six will be to lower the price of eBooks in order to compete. But for now, I’m off to the library. I got an e-mail notice that the hold I placed (via the library’s website) on The World Without Us has been filled. Oh, and I’ve been loaning eBooks from the library too for my Sony eReader. Thank you public library. You’re a forward looking institution. If a publisher came to me and asked to represent my novel, promising to shop it around to other publishers, I’d be stunned. If the publisher went on to say that if they couldn’t sell it to another publisher, they’d put it up as an e-book on Amazon, collect the 70% royalty and give me half, I’d say that a serious conflict of interest existed. Confused yet? Meet to the 21st century literary agent. More agents everyday are crossing the boundary between agent and publisher, and authors should be very aware. Right now some agents are getting the e-rights to their clients’ out-of-print books and e-publishing those novels. At a conference I even heard one older author express delight at getting a 50% royalty on net sales from his agent/publisher. I didn’t have the heart to put my hand up and tell him he could e-publish it himself and get a 70% royalty. Dean Wesley Smith has already written what many of us are thinking: how long before agents move on from the out-of-print novels and start putting up new work from their clients? Will they even shop a client’s novel around to see if a traditional publisher would pay big bucks? That’s a lot of work when the agent can just cash in on the client’s name right away by e-publishing his/her work. It’s the Wild West in the e-pub world right now. 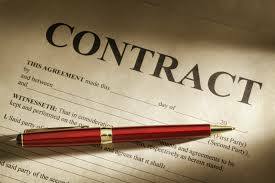 Authors need to be very careful about what contracts they sign with their agents, and especially what rights they sell to the agents. See where this is going? How long before authors need an agent to negotiate a contract with their agent/e-publisher? If I were an established author with a back list, I’d cut the agent out right now. For you fellow bloggers this will be no surprise, but it was a new one for me: the evil of spam is everywhere. I thought it just came in e-mail, but the comments I’ve received on this blog have surprised me. They usually begin by telling me how brilliant I am or how fascinating my blog is to read. Funny thing, they never say anything about what I’ve actually written. But the catch becomes obvious when they link to a lame or shocking web site. I spare you guys this nuisance by marking them as spam, but if one day you find your comment wasn’t posted–well, perhaps you were too flattering and I didn’t realize you meant it. Thanks anyway.